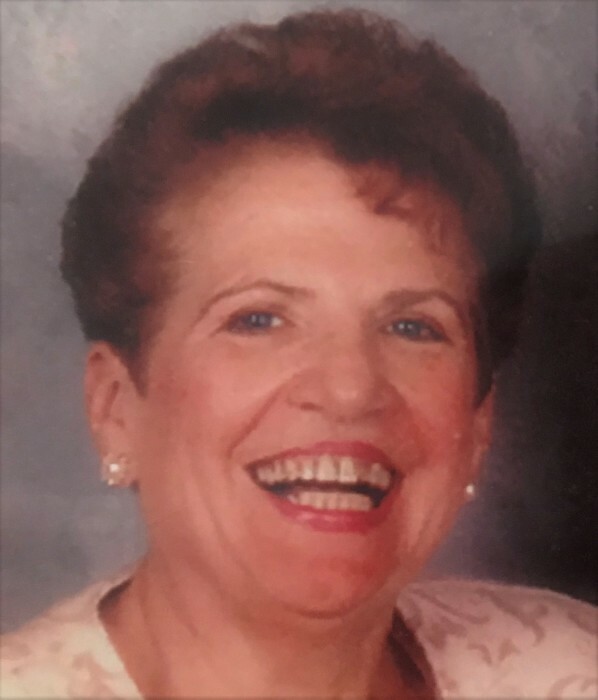 Matilda (Tillie) Wood, 84, of Barnegat passed August 4, 2018 at home surrounded by her loving family. She was born and raised in the Bronx, NY and attended Central Commercial High School where she was class treasurer, editor of the yearbook and held high honors in academic achievement. Upon graduation, she held positions with several notable companies working in the accounting area. She married her loving husband Harry of almost 60 years in 1955 and relocated to Jackson, NJ in the early 60’s. Tillie worked for ShopRite for 25 years as a front-end manager. She was also a girl-scout leader for Jackson Girl Scouts and enjoyed many crafts and playing cards with numerous friends. In 1999, Tillie and Harry moved to the Mirage (4 Seasons) in Barnegat, NJ where they enjoyed their retirement years. Tillie and Harry also spent many years traveling around the world and treasured family vacations and get-togethers. Tillie was very active in several charities such as Saint Vincent de Paul Food Pantry in Barnegat and Jackson Seniors. Tillie is survived by her 3 children, Barbara Burlew and husband Mike, Michael Wood and wife Mary, Virginia Bolyard and husband Mel; 9 grandchildren, Ryan, Jennifer, Patrice, Matthew, Kelly, Stephen, Christine, Robert and Christopher and 5 great-grandchildren, Daven, Joseph, Mariah, Benjamin and Adilyn and close friend, Hilda/caregiver. Tillie was a wonderful mother and friend…. very thoughtful, generous and always willing to help and support others. We are deeply blessed to have shared her life and will miss her greatly. Love you forever Mom.